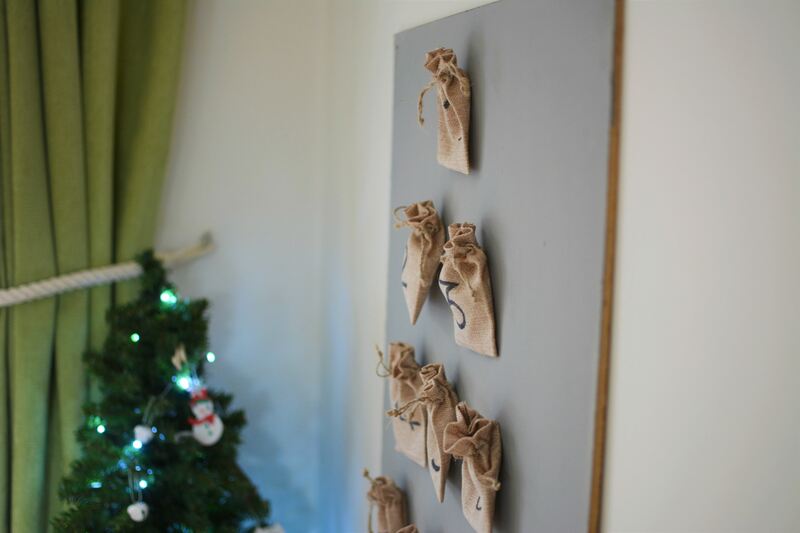 Every year since Eddy and I met (that’s 12 Christmas’s now) we have had a home made advent calendar. Originally that was because I didn’t eat dairy so he would make me one filled with after eights and other treats and I would make him one filled with Ferrero Roche or Mars bars. In fact I think if you asked him, his favourite would be the year I filled a stocking with 24 mini mars bars with numbers on and he would search for the right one each morning. This was even before children! It has evolved somewhat and even though I do eat dairy these days since having children we don’t really get each other advent calendars at all. We put all the effort in for the children instead! Again it stemmed from the fact that Eva cannot eat dairy and so we would make her one with little toys and the odd dairy free treat, then when Roma came along they naturally just always shared the green fabric one we had. 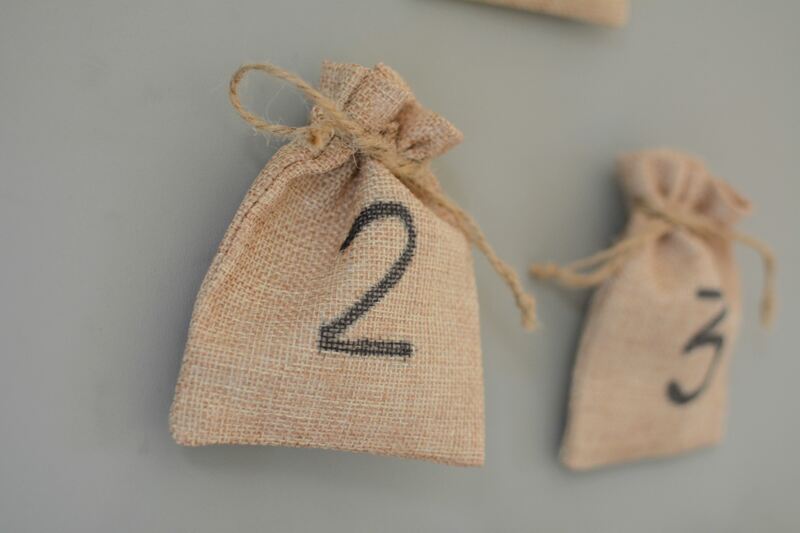 A few years ago I started putting little advent activities in the pockets every now and then when we were doing something and I loved it. 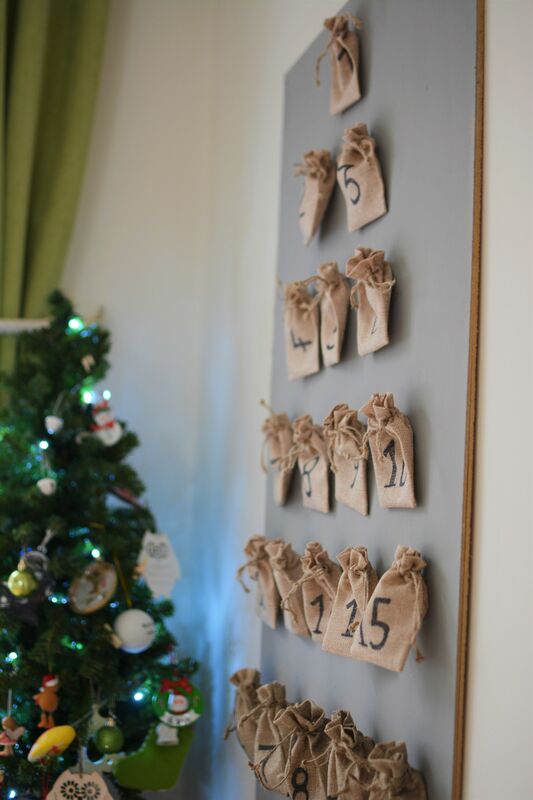 I now feel like we have settled into an advent rhythm, we have an activity in every day, then a chocolate or little gift too. 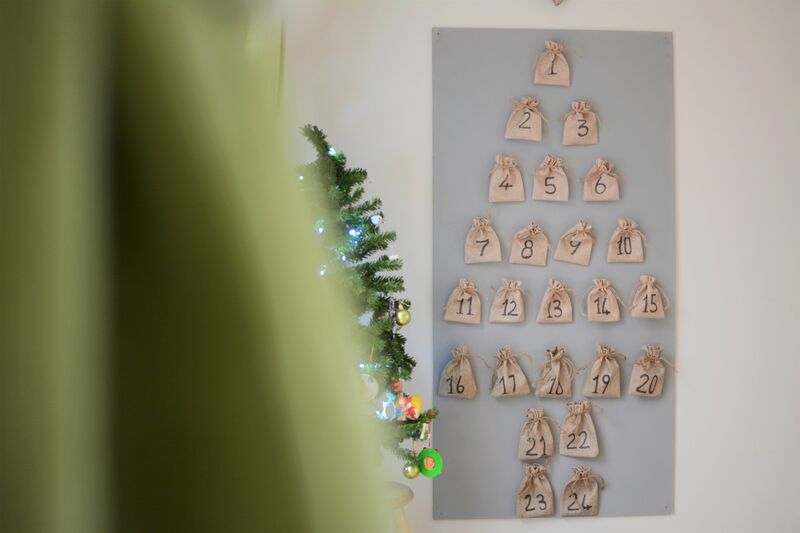 This year we decided to make the girls a new advent calendar as they had outgrown the other one – or maybe I had – so we got to work. I am really pleased with it and it was so simple that I thought I would share it with you and also put down some of the things we fill it with especially the activities because believe it or not it is not the little gifts or the chocolate that the girls get excited about the most each morning but the little piece of paper (that I inevitably end up writing in a panic at 11pm after I forgot and had to get back out of bed for) they love to see what we are either doing that day or what they get to do. 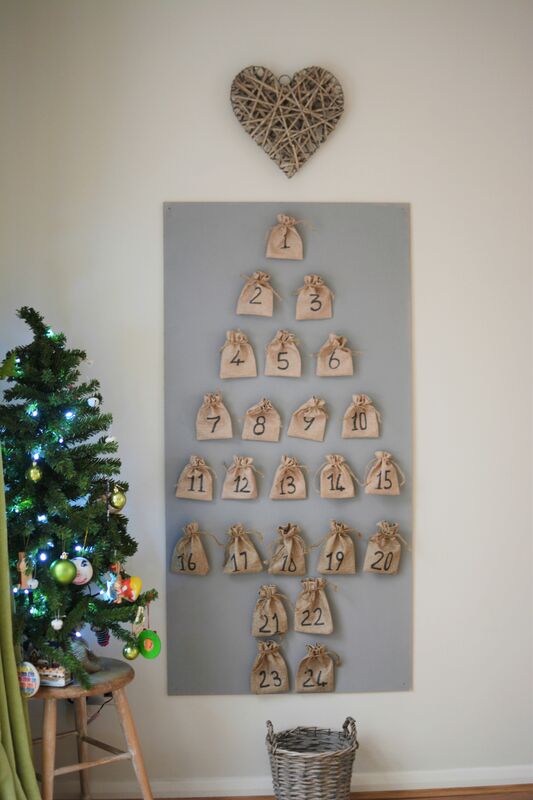 For the Advent Calendar itself I merely got two pieces of hardboard from B&Q, painted it with some all purpose grey matt paint we already had in the garage and tacked it to the wall. 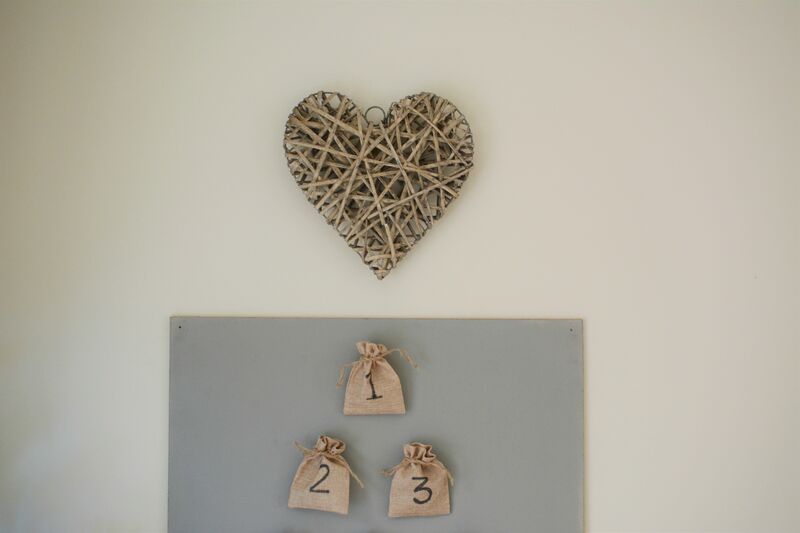 Eddy had the idea of the heart that usually lives in the hall for the top and this little basket is from outside the front door where all the random sticks and stones the children bring home for treasure on an almost daily basis are stored. I cleared that out and finished off the tree look and also to have a place for all the little gifts that don’t actually fit inside the tiny bags! 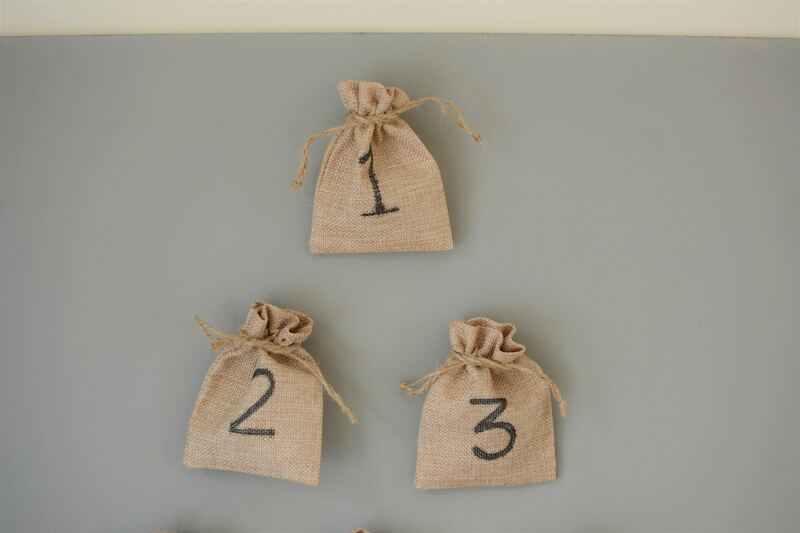 The little hessian bags I simply ordered online, sometimes called favour bags, and you may notice there are two different shapes and colours, which is just because I already had some to use, and of course they are never quite the same when you order again are they? 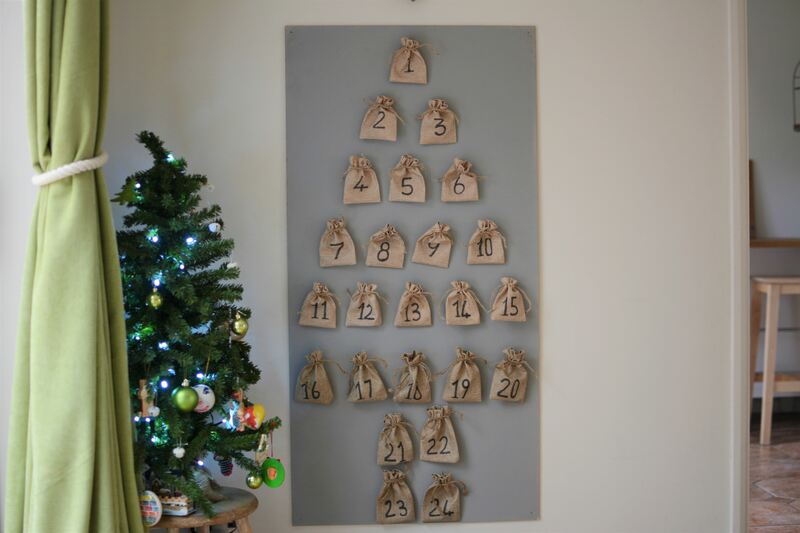 I wrote the numbers with a black marker pen and used drawing pins to stick them in a tree shape to the hardboard. 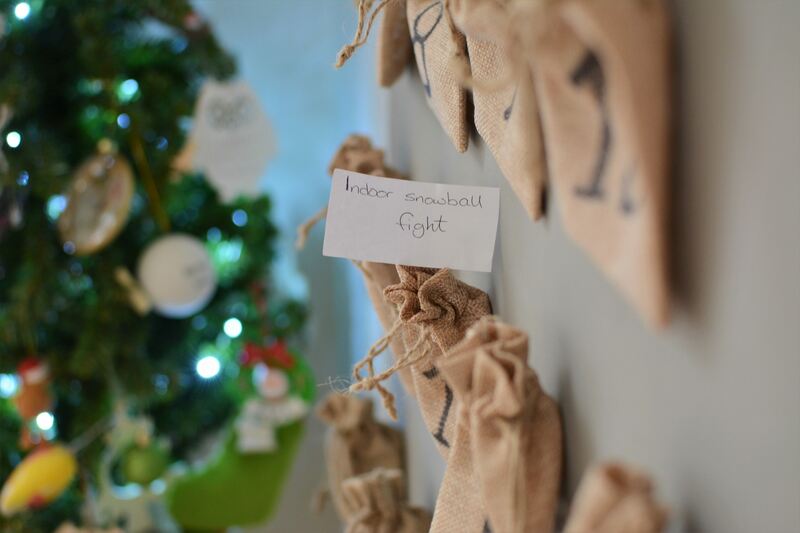 Simple really…well we did have lots of discussions about the right formation of the bags for the tree actually, for the amount of bags and size of the board, it was comical seeing how many times we moved them around before agreeing on the final layout! It is rustic, it’s not perfect or expensive but I love it, it’s for the girls and therefore we are not precious over it, they can enjoy at their leisure as it stands proudly next to their Christmas tree and touch wood hopefully for years to come too. Now onto filling them, I have spent hours scouring Pinterest for ideas and coming up with our own over the years that I thought it would be useful to write them down and share for anyone else, and also so maybe I can refer back to it next year for some ideas as I always seem to forget and feel like I am in fact starting from scratch each November! 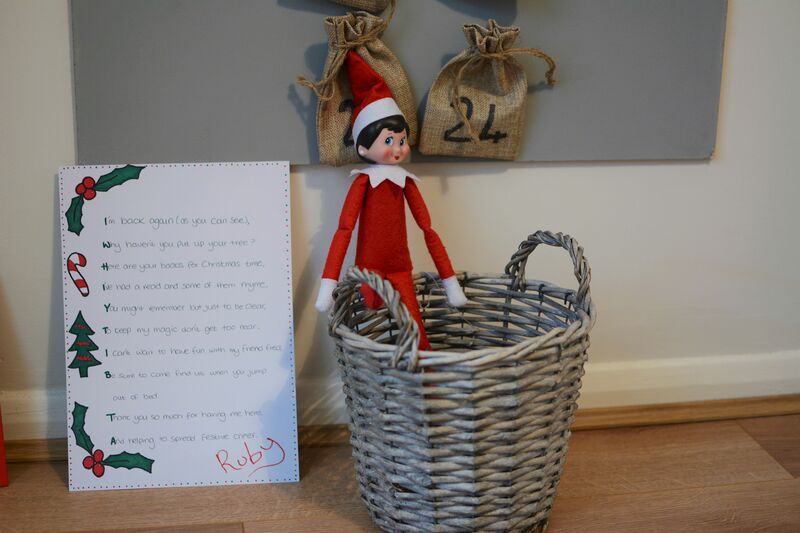 Elf on the shelf – for three years now the little Elf Ruby has visited our house and comes with the Advent and a letter. And here is a list of the activities we either do every year or have done before. It is a labour of love and every year I say I will be more organised and fill and sort the activities ahead of time, maybe even print them out with fun pictures too. And every year I end up filling them the night before according to what we have planned the next day! 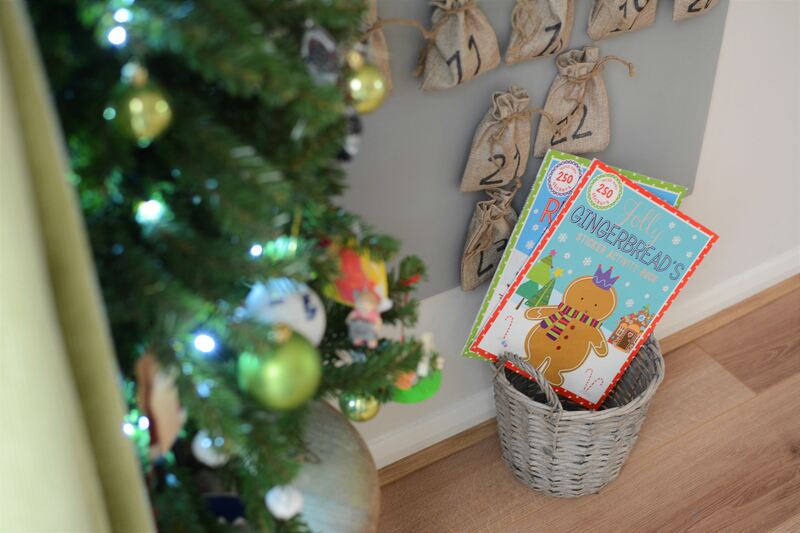 But I love it, the children love it and it makes every morning magical so really you can’t ask for more than that at Christmas time and I will continue to do it every year they let me!